What happens when we die? It’s a question everyone has asked, since the beginning of time. But when Eleanor Shellstrop (Kristen Bell, Veronica Mars) dies tragically, she finds out that the afterlife is amazing; full of frozen yogurt, soulmates, and wonderful people who have done incredible things with their lives. It is absolutely perfect. 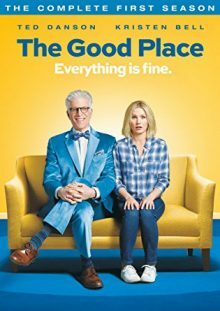 The only problem is Eleanor isn’t supposed to be in The Good Place. In fact, her life decisions wouldn’t have even gotten her close. But due to a clerical error, she’s been given someone else’s reward and now has to struggle with being good in order to make sure her secret isn’t discovered.